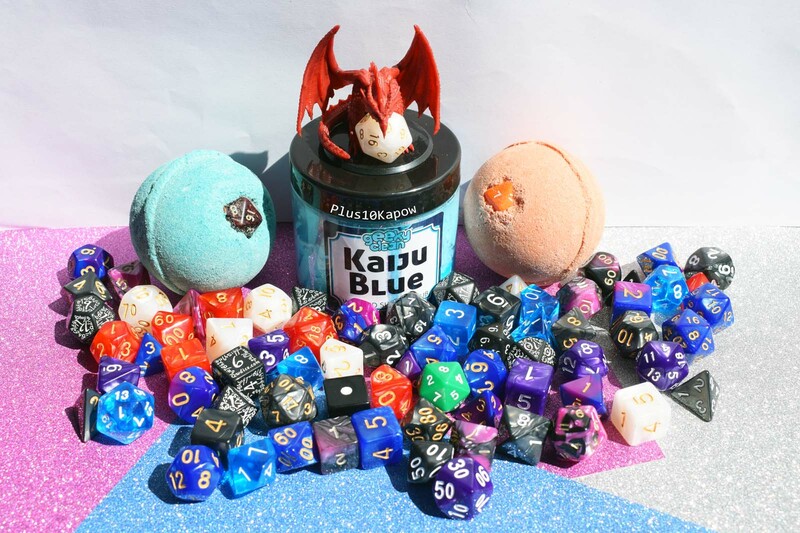 Plus10Kapow: Geeky Clean- D20 Bath Bombs, Yes Please! Geeky Clean- D20 Bath Bombs, Yes Please! On Instagram, it is really difficult to avoid finding awesome new companies that make awesome things but also make my bank account cringe. 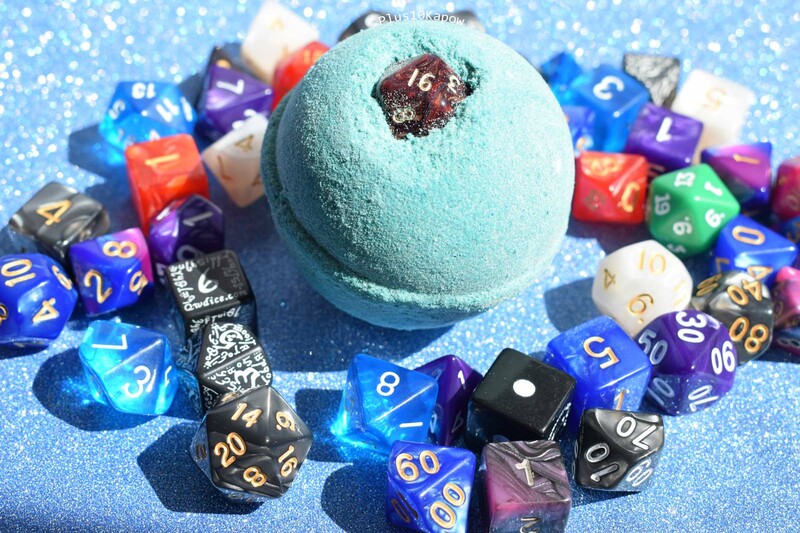 One of the companies I came across was Geeky Clean and I was instantly drawn in by their D20 bath bombs. 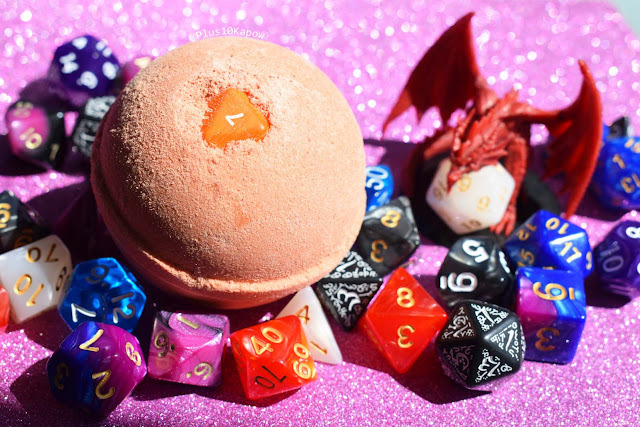 I love having a bath bomb and am a sucker for novelty stuff, especially when it includes D20s. So I had to do a cheeky little order just to see how I got on with them. They dispatched it very quickly and it was well packaged aside from one blip which I will mention in a moment. This post has been sat in my drafts for a good few weeks now. I have been having serious anxiety about posting anything other than nail stuff, for various reasons but mostly because at the moment, my brain is not it's most articulate and I am having problems with word finding and remembering stuff, which frustrates me a lot. But I am trying to just push through and get stuff done, so bear with me if it sounds like I have no idea what I am talking about. This was the packaging blip I was telling you about. As you can see, there is blue smears on the label. This is because the lid on the sugar scrub wasn't done up completely, meaning that some of the it leaked and it was a teeny bit watery. BUT, it was still absolutely usable and not something I am bitching about. It happens and sometimes lids like this can come undone in transition because of how the package is handled and thrown about. They are trying very hard to go plastic free so may not be something to worry about in the future. It still had part of that pretty whip pattern on the top and looks yummy. Also loving the name of this. 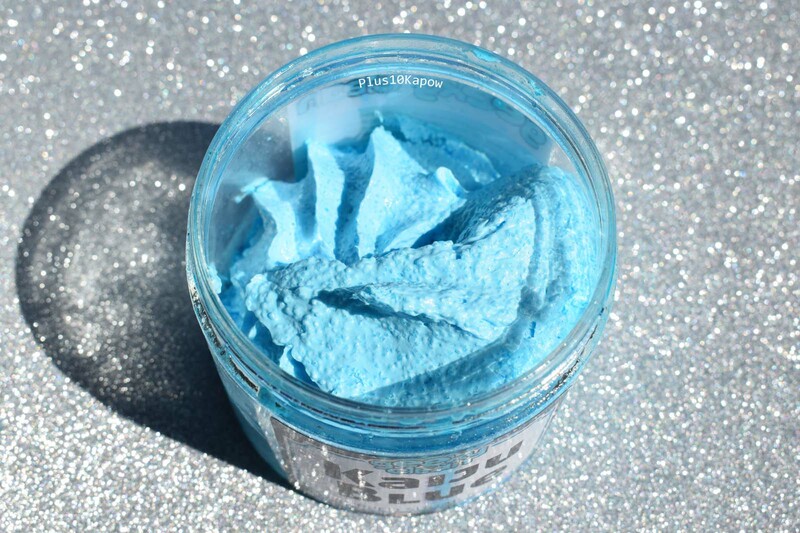 It has a gorgeous sea breeze fragrance which is quite strong in the pot but lessens once it hits the water. It is a very fine exfoliant and is fine enough to use on your face, although my face is quite sensitive so I didn't risk it. But I did use it on my body and my skin felt great afterwards. Plus, with such a gorgeous colour, it looks fantastic on the corner of the bath. Sadly it doesn't seem to be available anymore but I am excited to try some of the others at some point. This D20 bath bomb is another sea breeze scent, I do like this scent quite a lot. It is a fast fizzer that sank to the bottom almost immediately. The colour dispersed quickly through the water and the scent lasted the whole time I was in the bath. 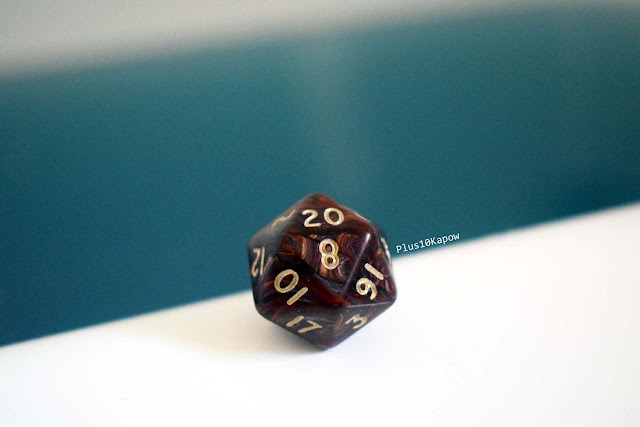 The water turned a gorgeous ocean blue and I love the dice that came from it. It is kind of a brown pearlescent colour but in the sun it looks like a beaut fiery red. 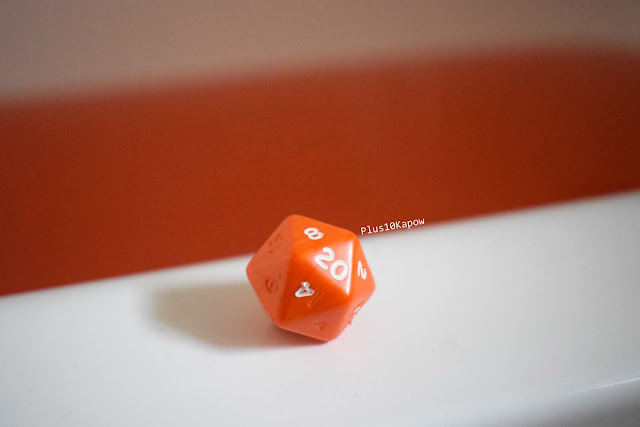 The red D20 bath bomb is more of an orange colour and is scented with raspberry, which I really love. The scent was just the right strength for me and it lasted the whole time I was in the bath. It turned the water a bright orange colour and I got a bright orange dice from it. I was a little bummed that all the numbers started falling off in the water for some reason but not too bothered by it. My skin felt great after bathing with the bath bombs and it stayed soft until my next bath. They came packaged in a paper with eco friendly packing peanuts, however, I have since placed another order for all of the D20 bath bombs that they sell and I was a little disappointed that they came in plastic bags. I'm hoping on my next order they will be back to their planet friendly packaging. *UPDATE: Turns out that the plastic packaging was not plastic at all, it is in fact 100% recyclable, plant based material, which is super good to hear! 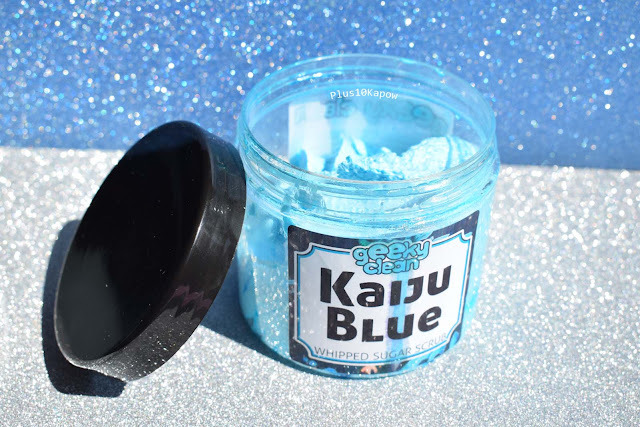 And I have been told that Kaiju Blue is coming back soon, with new plastic-free packaging and a lid that should eliminate the possibility of it coming undone in the post. All in all, I really like this company and I am excited to try some more of their stuff but will definitely be buying more D20 bath bombs because I need me all the D20s in existence. Check them out, links below.